Retail Price $150 US dollars. Tiffany & Co. introduced the Streamerica collection of accessories and watches in 1990 to celebrate the 50th anniversary of its New York headquarters. Tiffany & Co.’s Streamerica is inspired by the aerodynamic principles of the 1939 New York World’s Fair, the Streamlined designed collection evolved from the profile of a DC-3 wing and the bolted metal sheeting of airplane construction. Steel and Industry symbolize America’s aspirations for progress and prosperity. A Timeless expression of Man’s fascination with speed and technology – and his desire to forge a better tomorrow. 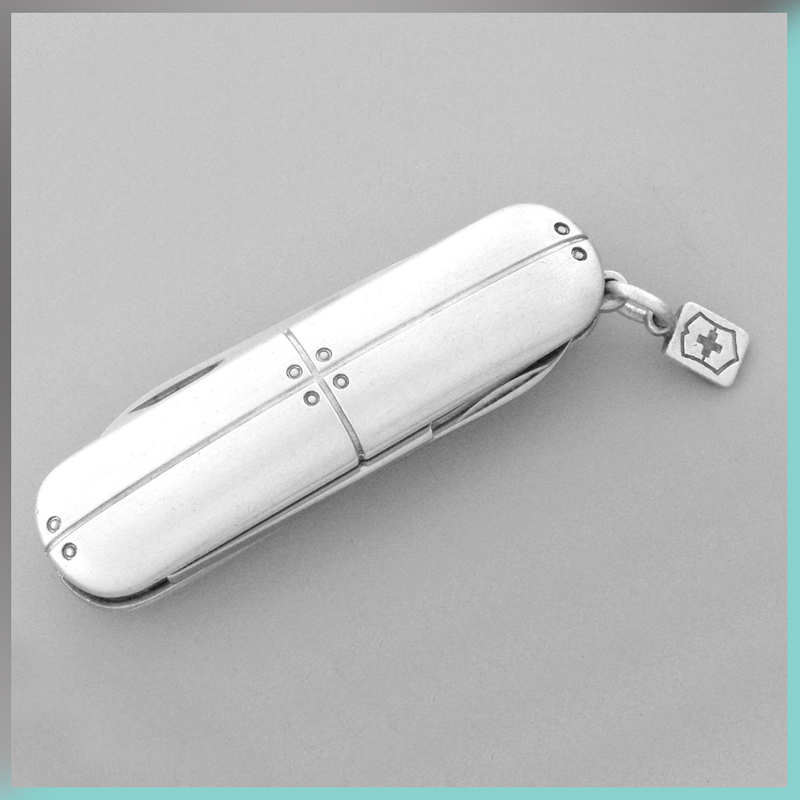 This sterling silver pocket knife comes with three tools, a pair of scissors, a nail file and a knife. This is one of the smaller number of tools to be included in the streamerica line. 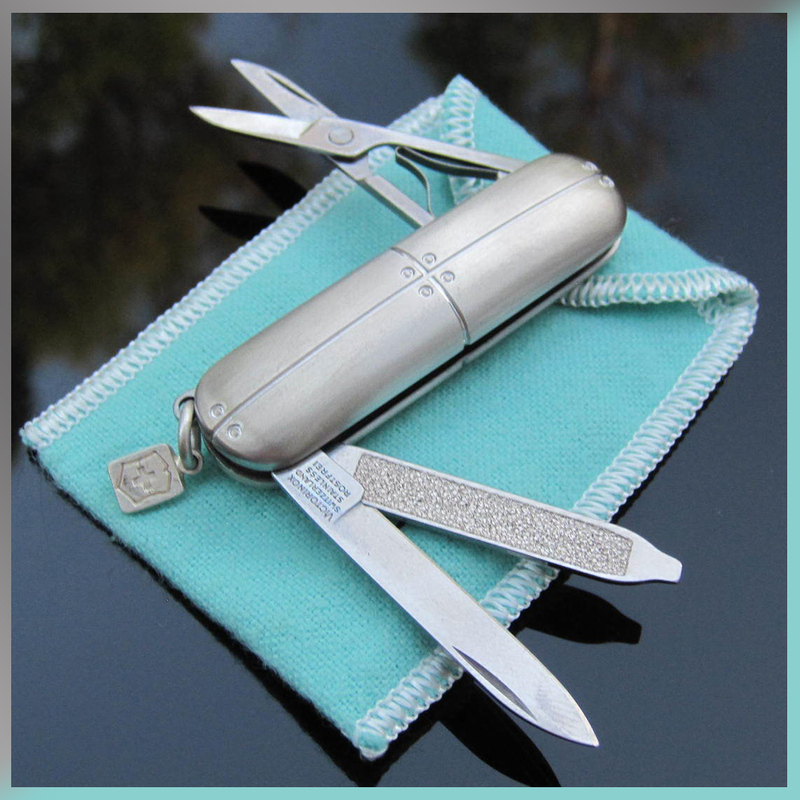 There are three other models that were made in the original stainless steel line. Each piece in the Streamerica line is designed to complement each other to form a cohesive statement in sterling silver. Detailed Photos of Streamerica Swiss Pocket Knife. 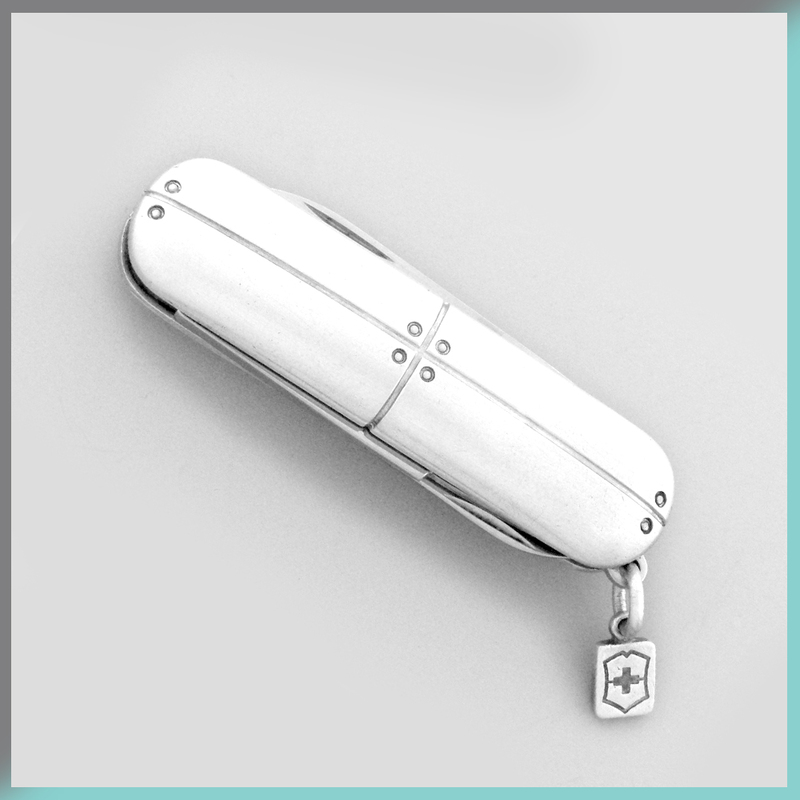 Photograph of 2002 Swiss Pocket Knife. 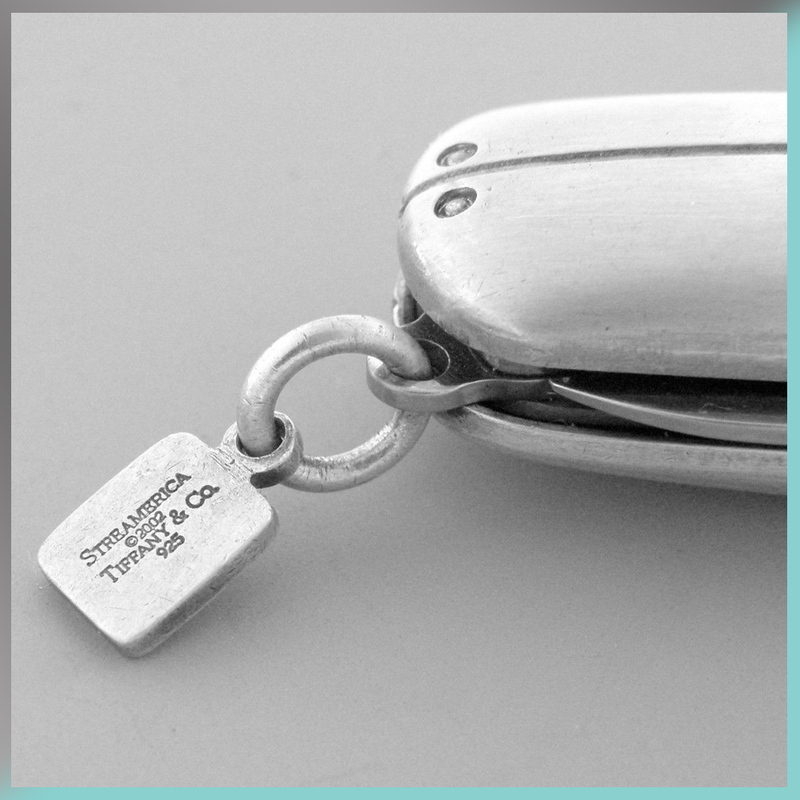 Detail of Engraving Streamerica 2002 Tiffany & Co. in .925 (sterling silver). Detail photo of Swiss simbol. Photograph showcasing the three tools that came in this small version of the pocket knife with scissors, nail file, and knife. 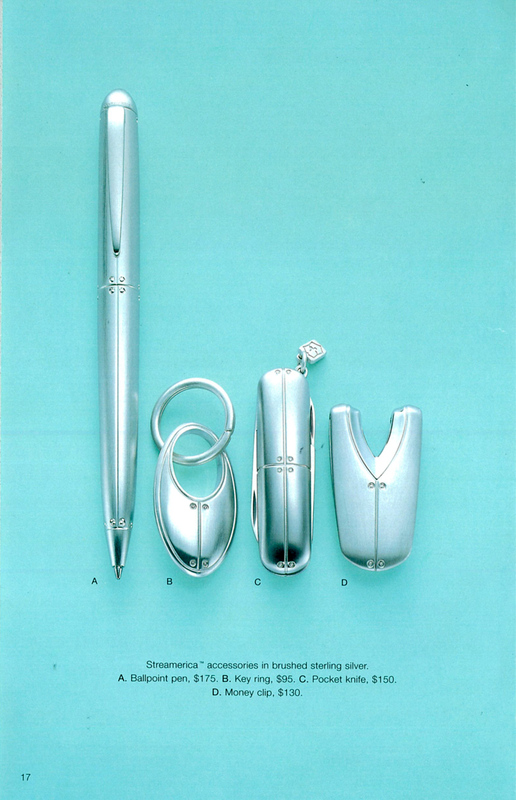 One of the fiew pages from Tiffany & Co. Blue catalogs that shows Tiffany & and Co. Streamerica Sterling Silver .925 Collection from 2002: the Ballpoint pen, oval key ring, Victorinox swiss army pocket knife, and money clip.